What do game drives and God have in common? Recently, my husband and I spent a few nights in Kruger National Park, the largest game reserve in South Africa. Each morning we would wake up with a sense of anticipation as we climbed into our cars and went looking for game. The first morning we woke up and within minutes we spotted Hyena, then leopard and then lions eating a kill. We were up at sunrise, the next morning, driving the same route, hoping for the same results. This time we saw some impala, zebra and elephant but no cats. While we drove around I thought about Lamentations 3:22 – 23. 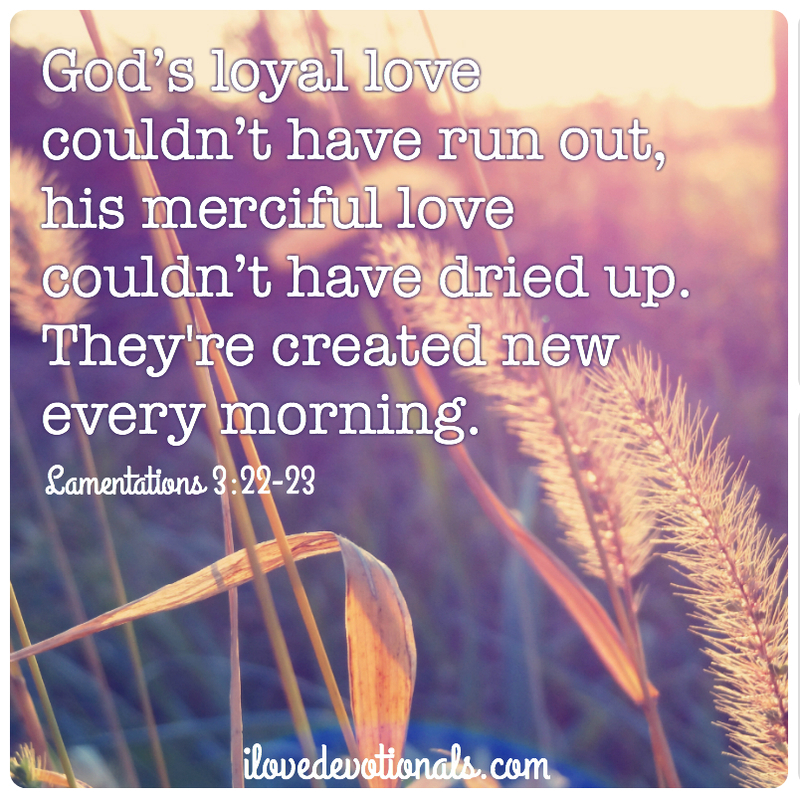 I pondered how God’s love and mercy can be created new every morning. I realized that God’s kindness towards me must be a lot like those game drives. I kept trying to go back to the place where I’d seen a cat hoping it was still there instead of looking around me and appreciating what I could see. How often do I do the same thing with God? Frequently, I’ll try to recreate a situation or moment where I felt particularly close to God, hoping that he will meet me in the same way. It is easy for me to just do the same things and get the same results but then I come to rely on the system rather than on God. It rarely happens and I think it is because God is trying to move me forward, trying to make me look to him to experience fresh mercy and not to the situation or circumstance that I can manipulate. 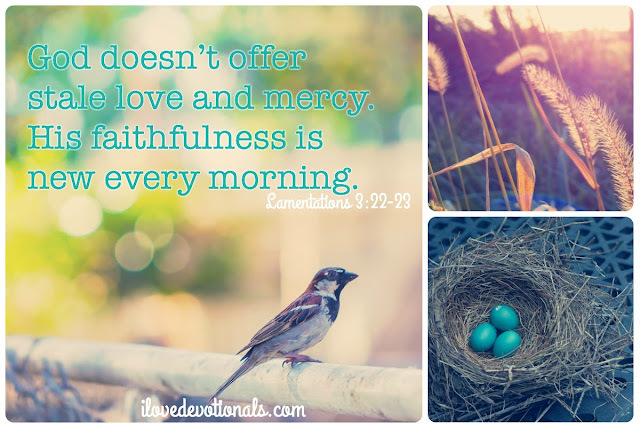 God wants me to wake up each morning expectant. He wants to surprise me with his unfailing love and mercy - that meets me exactly where my heart and soul need it. Ponder: Have you been going through the motions with God? Have you come to trust more in rituals than in God? Prayer: God, I need to experience your fresh love and mercy today. Thank you that I trust you to give me a unique experience of you because of your great faithfulness. Amen. Who is stronger: Chuck Norris or Jesus?